And emergency responders say they can effectively respond to accidents, crimes or lost visitors in the 87,562 acres of dense forest. Safety has been a focus for critics as the monument, east of Baxter State Park, settles into its first full season. 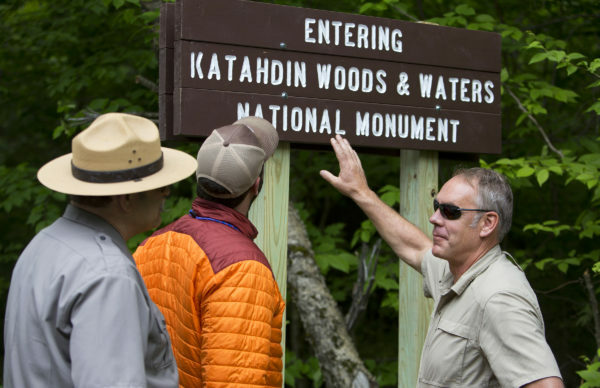 Katahdin Woods began accepting visitors a day after the presidential executive order creating it was signed in August 2016. It lacks basic features, such as an on-site visitor’s center, that will be added as its management plan develops, and has drawn criticism for having roads unsuitable for tourists even as it continues to steadily draw them — 1,747 vehicles at last count. Judge said he has no worries about his agency’s performing rescues at Katahdin Woods, but might suggest creating landing zones within the monument for his organization’s three helicopters. Baxter State Park has spaces designated for that use, he said. Representatives of a dozen agencies, including state police, Maine Warden Service, LifeFlight and Maine Forest Rangers, meet several times annually to discuss emergency responses, Judge said. The planning already done covers the monument, said Regional Ranger Bill Greaves of the Maine Forest Service. And the park service makes clear that visitors should expect a wilderness experience, and plan accordingly. That means they should follow common-sense safety planning and bring any equipment they might need. The best defense against calamity is awareness, Maine Warden Service Lt. Dan Scott said.